9. Februar 2018 Ingrid KrauseVisit Bremen#tastebremen..
Fries are one of my great foodie passions, much to the detriment of my hips. So where in Bremen can you buy the best fries? I just love Joppiesaus. It’s made in the Netherlands and uses mayonnaise. Yummy! In Bremen, it’s available at CKTs on Obernstrasse. They’ve also opened a shop in Bahnhofstrasse. Here you can choose between thin and chunky fries, and sweet potato fries and wedges are also on the menu. But my order is always the same: chunky fries with Joppiesaus, please! I do prefer the regular potato fries, rather than the sweet potato version. But I like either at the Union Brewery in Walle. I’ve tried the regular fries at the Rock & Wurst burger joint in the Viertel district, which they aptly call rockfritten. They really do rock! Of all the places featured here, I think the best music is served with the rockfritten. Rock & Wurst also have the coolest beer tap, which has a skull on it. The Union Brewery has the advantage of serving its own craft beer on draught. I think I may have been able to choose from other sauces to go with my rockfritten, but I spotted the bottles too late. They’re normally served with ketchup and mayonnaise. But mine come with a double serving of ketchup, as I ordered the vegan option. These are the standard sauces at the Union Brewery too. The sweet potato fries come with two dips, both based on mayonnaise, I think. And talking of vegan, I’ve put together some meat-free restaurant tips for you. 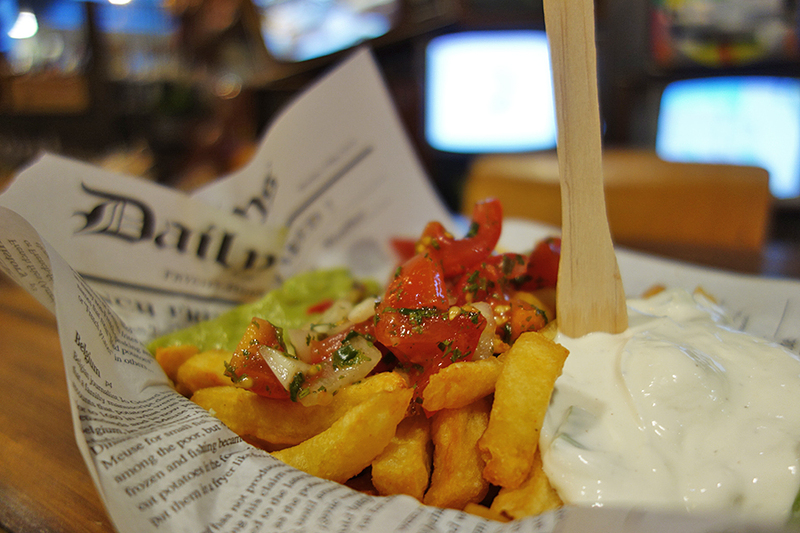 Fantastic fries are also on sale at Fries before Guys in the Markthalle Acht food hall. They sell many different types with a wide range of sauces to choose from, including guacamole. I think the picture below is of the Mexican street fries – they go a little soggy after a while, but they taste divine. Apparently, the potatoes are freshly cut on the premises. Yummy! 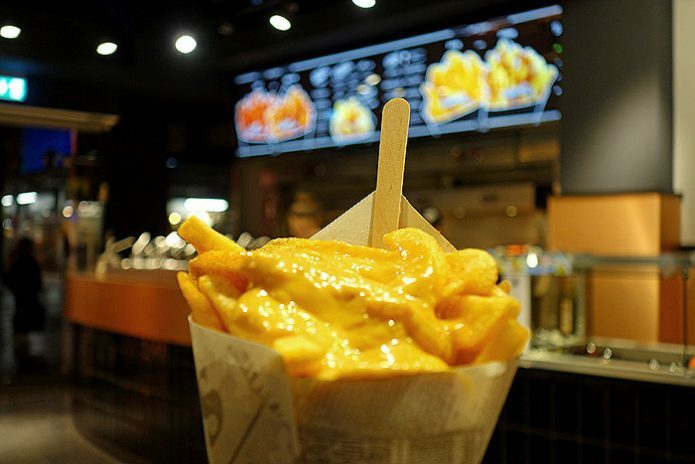 Now it’s your turn: where’s your favourite place for fries in Bremen, and who has the best Joppiesaus? No matter whether the fries are served from a kiosk or in posh surroundings, send us your tips.